It takes a high level of expertise and precision to create the gorgeous Porsche models found here at our greater LA Porsche dealership, and the same goes for the auto maintenance and car repair work required to keep your luxury vehicle on the road. Here at the auto service center at our Thousand Oaks, CA Porsche dealership, we provide a level of expertise that can’t be matched around Calabasas, Oxnard, Malibu and other greater Westlake Porsche service centers, especially if you need Porsche Boxster service, Porsche Cayman repair or a maintenance on Porsche 911 models. 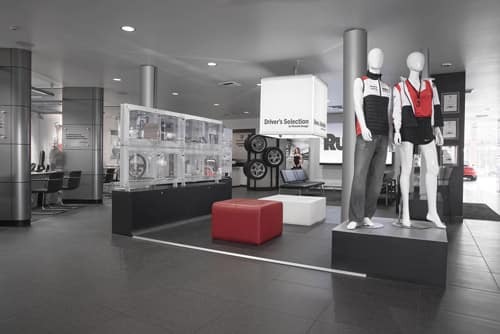 Schedule your next Porsche service appointment, then come over today to see why our facility is your best bet for Thousand Oaks Porsche service. Using our complimentary Pit Stop Service, your Porsche vehicle will be road trip ready before you know it! Meet a Porsche Certified Technician to review your Porsche one-on-one. We’ll show you the underside of your vehicle after we check and top off all fluids and examine your tires. This complimentary service is available exclusively at Rusnak/Westlake Porsche, so call today to schedule your Pit Stop Service at (844) 245-3668. Whether you need auto repair service or light auto maintenance, you’ll find Rusnak/Westlake Porsche service center not only offers expert service, but competitive service prices to boot. While you’re here, be sure to scan our roster of car service specials for oil change coupons, discount tires specials, and more. In the market for genuine OEM Porsche parts? Be sure to check out our auto parts center for comprehensive selection across all model years. Genuine OEM parts are the very same car parts your Porsche model was manufactured with. They fit your model perfectly, help it to run the way it was intended to, don’t diminish your vehicle’s resale value, and come with a Porsche warranty. 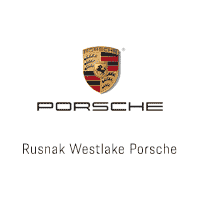 Whatever you need help following your Porsche service intervals or a major auto repair, Rusnak/Westlake Porsche can help!